"Paleo" is gaining some traction in the mainstream media, thanks in part to another die-hard cultish phenomenon proliferating the globe - CrossFit... But that's another kettlebell of fish! Still, Paleo very much remains a niche group of dedicated followers consisting of relatively well-off Westerners who want to take control of their health and have the means to do so. Some, like myself, stumbled upon it on their journey to optimal health and performance. Others turned to it out of last resort, after traditional medicine (i.e. treating disease-symptoms with drugs rather than treating disease-cause with lifestyle changes) had failed them. The Paleo force is strong among these ones! We like to swim upstream, us Paleo folk. We question conventional wisdom, are critical of doctors, argue with nutritionists, detest big pharma and loathe the monopolistic industrial food business. We love farmers' markets, the outdoors, wood, lifting heavy objects (well, I do anyway) and pine for the healthier heydays of our great grandparents who cooked with lard, ate animals 'nose to tail' and would slap you silly for discarding egg-yolks or trimming your steak. Paleo is not a fad diet. It's not a weightloss diet. IT'S NOT A FLIPPING DIET AT ALL! Paleo is a broad term for a lifestyle based around eating real food, somewhat like how we assume our ancestors did before agriculture and the food industry f**ked everything up. 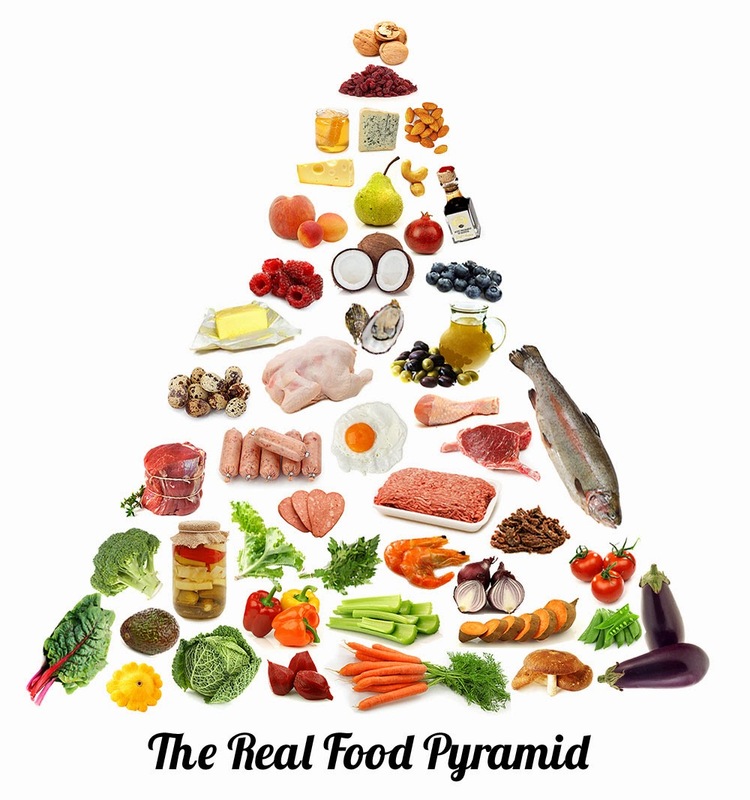 Paleoers eat whole foods - plants and animals in their recognisable form. Not sh*t in shiny packages that has been prodded, spun, bleached, separated, treated, coloured, salted, sugared and adulterated by stainless steel machinery and molested by vibrating rubber conveyor belts. It's pretty simple really. Tuna steak? Paleo. Fish finger? Not Paleo. Raw walnuts? Paleo. Microwavable quick oats? Not Paleo. Water? Paleo. Vitamin Water? Not Paleo. Tequila? Paleo. Really?? Let's agree to disagree. Paleo is just a term. Some people even in the ancestral health realm hate the term. So be it. As a term it definitely has its flaws. "Paleo" doesn't really mean anything. The 'Paleolithic' was a time period long ago that we know little about. It's like the term 'dinosaur' or 'prehistoric'. We know it occured and some children or adult nerds are pretty obsessed with it but for most of us it's just a bloody word for something we've never experienced and that no longer exists. Just because something no longer exists doesn't mean it isn't relevant. Elvis, for example! But seriously, we can learn a lot from looking to our past. And that's what Paleo is - looking to the past for ideas on how to improve our health in the present. Clearly we can't - or more importantly don't - want to replicate the Paleolithic time period! That's ridiculous. I'm quite happy buying my domesticated, clean and pretty food at a big store that is open until midnight and accepts my stupid Panda Visa card. I don't want to have to pick my own scrawny wild broccoli, climb coconut trees or kill wild beasts with a stick. Although it would be hilarious to watch me try! So "Paleo" is a very loose and limited term in and of itself. Yet it has its connotations. It is a great label. "I'm Paleo." Wooot, yay me! So what? That's like saying "I'm Australian." It'll evoke some preconceived notions in your head but that's about it. I love to stereotype as much as the next bloke - it's easy and brings a big smug grin to my face. But stereotyping certainly doesn't say anything definitive of the person in question... of their habits, their beliefs or their lifestyle. For example, as an Australian I may be stereotyped as living on the beach, being tanned, fit, wearing speedos and drinking a lot of beer (All of which was true at some point in my life!) Equally, but less of a stereotype, I may be of Italian descent, can't surf, have never been to the outback, study art history, hate Fosters and play classical guitar (All of which was true at some point in my life). So which Paleotype (Paleo stereotype) am I? Well I'll tell you which Paleo I am not. I am not a slabs-of-red-meat-eating, bacon-scoffing caveman brute who picks on vegans^ and eats almond butter eight times a day. I don't dismiss the science that suggests that we seem to be adapted to digesting starch such as white rice and potatoes. I don't judge people who choose to eat grains and even eat them myself on occasion. I don't buy into dogmas based on observations and proffer them as science. I certainly don't think, well we didn't eat dairy until 10,000 years ago so dairy must be bad for us and therefore no one should eat it. That's pure grassfed organic ignorance right there! I try my best to use logic and sense to make my lifestyle choices. When I used to eat wheat and drink beer I felt like crap and looked puffy after. So I thought, maybe this gluten intolerance thing has some cred? Maybe I shouldn't eat wheat and drink beer? I try to be smart. I try stuff out and see what happens. I experiment. I stick to things that work until I find something that works even better. In defense of Paleo sometimes boundaries need to be set. Humans often crave simplicity over sense. Although I would love everyone to read tonnes of literature, self-experiment and come to form their own unique Paleo-ish lifestyle that works best for them this is unrealistic. People want quick answers and simple rules to apply. People want to see results first and understand later. In the Army Reserves they used to say, 'Keep it simple stupid'. When it comes to teaching people how to follow something it helps to dumb it down. For this reason we make distinctions and draw lines in Paleo. 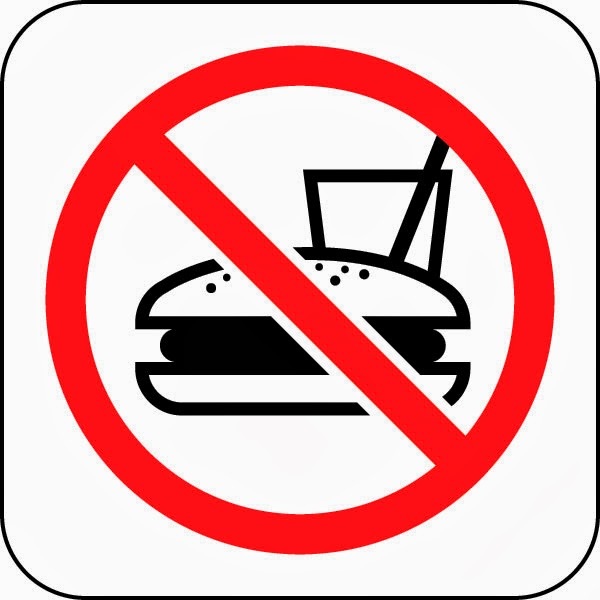 We make lists of allowed foods and banned foods. We make simplistic arguments as to why some foods fall in one list and not the other. We make blanket claims. And you can't possibly cover all the conflicting research with one blanket! Unfortunately you also get your overzealous newbies who see amazing results on their "Paleo" diet and before they've finished the third chapter of Robb Wolf's 'The Paleo Solution' they start preaching all over the interwebs, regurgitating information that they don't really understand. And bless 'em! Top points for enthusiasm! But please, Mr overly-critical vegan or grain-pushing sports nutritionist, don't pay off Paleo just because some born-again Paleo converts make unsubstantiated health claims! It's not their fault! And you know what, don't listen to me either if you don't want. After all, I've drunk the Paleo Kool-Aid (which is actually just water) and I'm guilty of preaching too, so help me God! 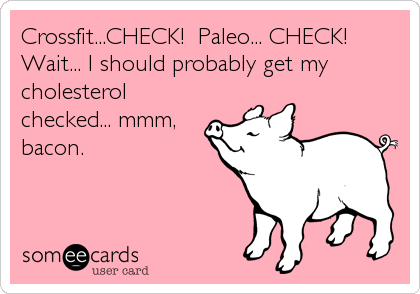 So in defense of Paleo, it may be a flawed term, it may be elitist, simplistic, somewhat based on 'psuedoscience' and a little bit too bacon-obsessed. But you know what? It works! So I'm gonna keep pushing... Try it for yourself! Join the Paleotype! 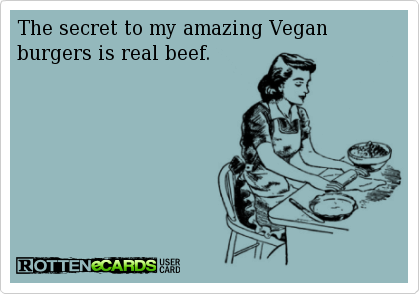 ^Actually I do pick on vegans but honestly I don't have any beef with them.